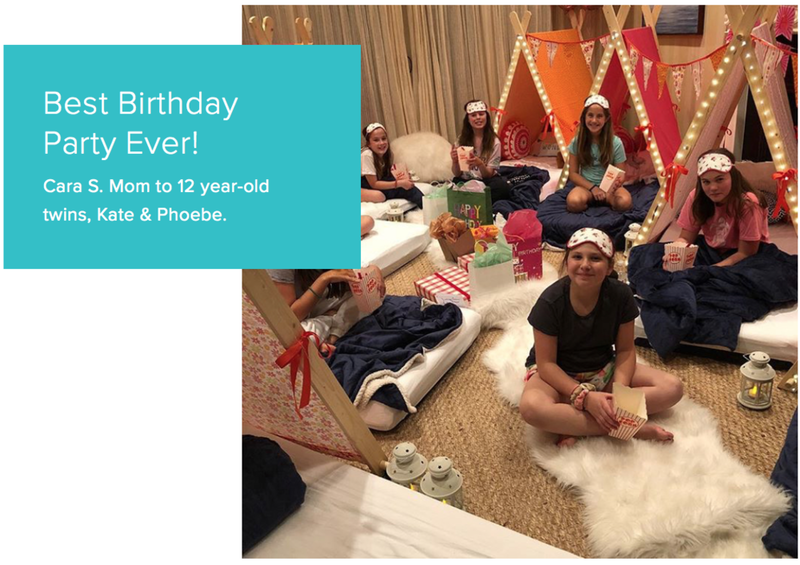 As the original and most experienced sleepover, slumber party and glamping specialist, WonderTent Parties turns your next celebration into a magical, memory making event. WonderTent Parties takes the hassle and stress out of planning your next event. We Deliver to your home, Set up & Style, and then Collect the next day. Each experience includes everything you need for a truly memorable event. Plus we offer additional add-ons to give your party a little extra 'Wow'. Got something in mind that's not included? Let us know and we'll do our best to make it happen with our All in One Platinum Service. into a truly memorable, shared experience. Our SleepOver Buddies is the BFF Slumber Party for 2, 3, or 4 kids. GlampOut in our WonderDome for a night to remember. Perfect for a Girl's Night Out or a Romantic Night In and everything in between. Our GlampIn is perfect for Baby Showers, Dinner Parties, Family Get Togethers, Bachelorette Parties and so much more. Our SleepOvers and GlampOuts have been chosen as a "Must-Do LA Experience" by Eye on LA! Want to share the wonder? Send instantly via email or set it to be delivered on a future date. And if you listen closely you’ll hear the screams of “OMG! OMG! OMG!” when they open it. 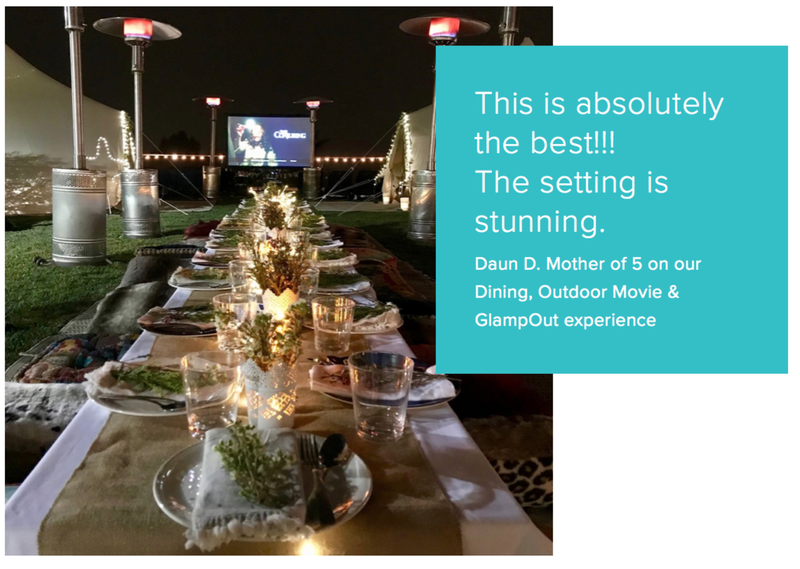 Here’s what our clients are saying about WonderTent Parties. through our Good InTent program. We thank you for your support of WonderTent Parties. Want party tips and access to exclusive discounts? Sign up to our Newsletter.